This page describes bleeding the system, adjusting it, and the final results of the install. I was a good do-bee and did the bench bleed. 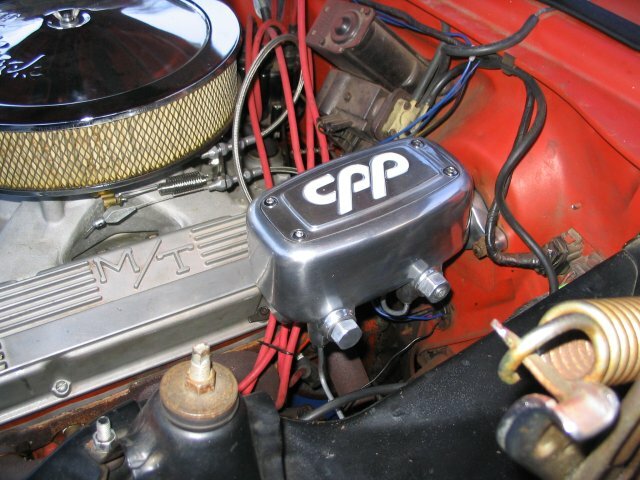 I couldn't get the front circuit to pump anything, then I read that the front is based on the rear pressure, and won't pump until the rear is at a certain minimum pressure. 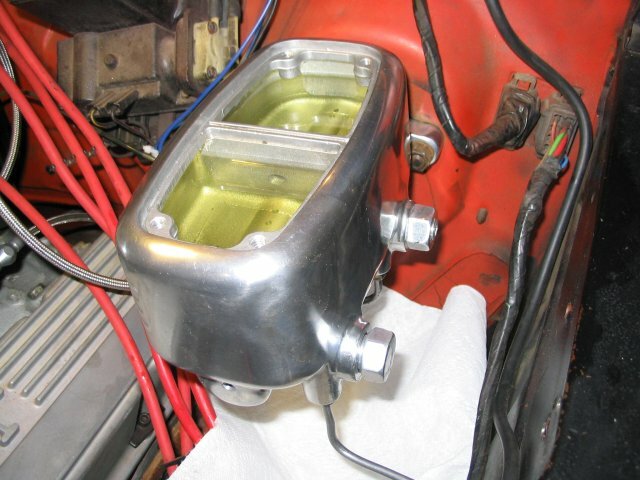 Wait and bleed the master cylinder after you have it on the car, but before you have done the final connection of the brake lines. 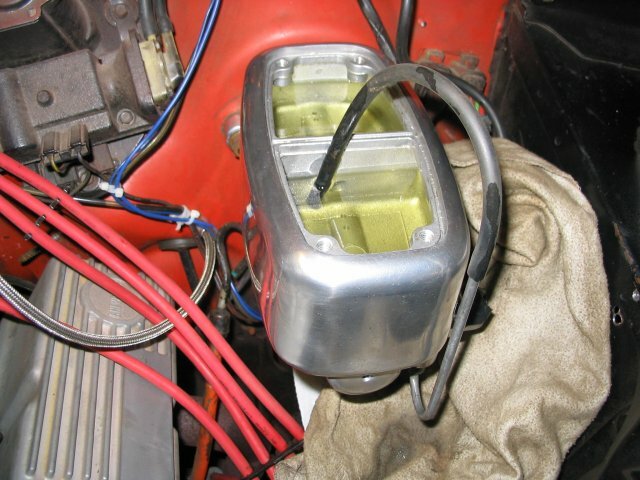 3 Press the brake pedal down slowly 3-4 times, or until fluid (and no air) comes out of the bleed valve. I had trouble bleeding the front brake circuit. Part of the problem (as I discovered later) was that I had some leaks at the fittings that were letting air in. Make sure that all connections are tight and leak free. 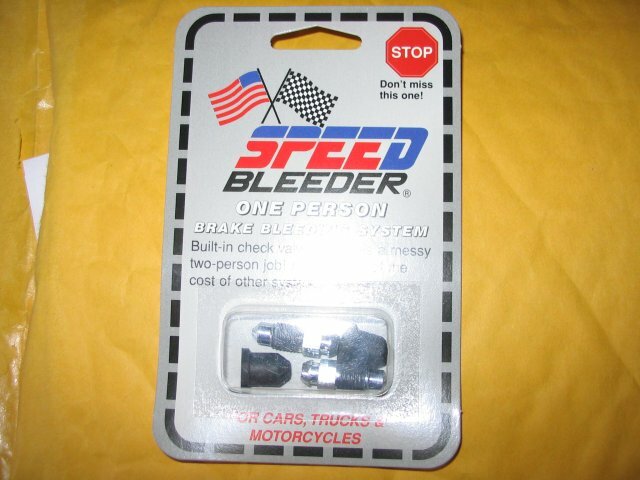 Do NOT use teflon tape on any of the brake line flare nut threads, or on the banjo fitting on the flex line. If they are assembled properly, they will not leak. That's kind of overkill, but...it worked for me...after I unsuccessfully tried a bunch of other methods. Note the paper towel under the MC. 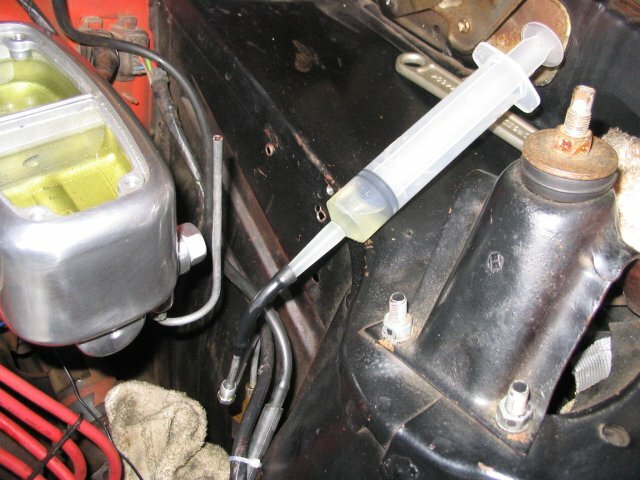 That is to make sure that there are no leaks at the brake line connections. If you get any drips, stop and fix the leak before you continue. If you have a leak, you will at be allowing air into the system, which can lead to spongy pedal feel, or eventual complete loss of braking function. Make sure you check ALL of the connections, at ALL of the junction points. Also make sure that all of the bleed valves are closed, and the rubber covers are installed to keep the dirt out. Make sure you adjust the balance and pressure settings before you go for the first ride! 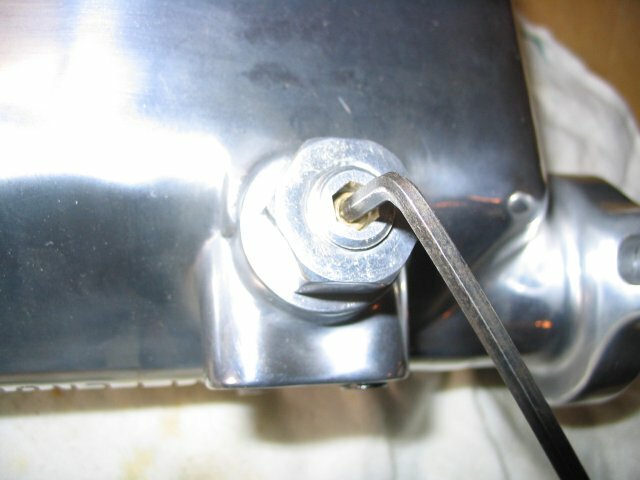 The 1/4" screw controls the front to rear balance. Turning it counterclockwise (CCW) will increase the braking force on the front circuit. Turning it clockwise (CW) will increase the braking force on the rear circuit. The 1/8" screw limits the maximum rear brake pressure. 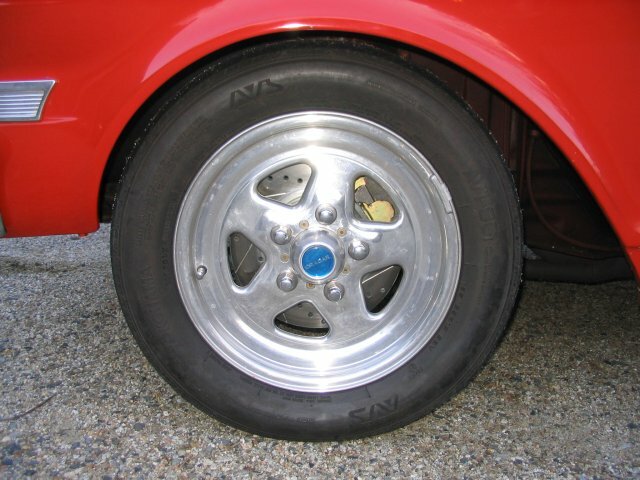 You can increase the pressure to the rear brakes by turning the screw CCW. You can decrease the pressure by turning it CW. Note that if you turn this screw all the way CW, you will cut off ALL braking force to the rear brakes. Make sure you have at least 1/8 turn CW of travel left. 1 Adjust the 1/4" screw to midway through it's travel. Turn it all the way CCW until it stops. Then count the turns as you turn it CW until it stops. Turn the screw back CCW one half of that number of turns. 2 Adjust the 1/8" screw to midway using the same method. Make sure you ahve at least 1/8 turn CW of travel left. 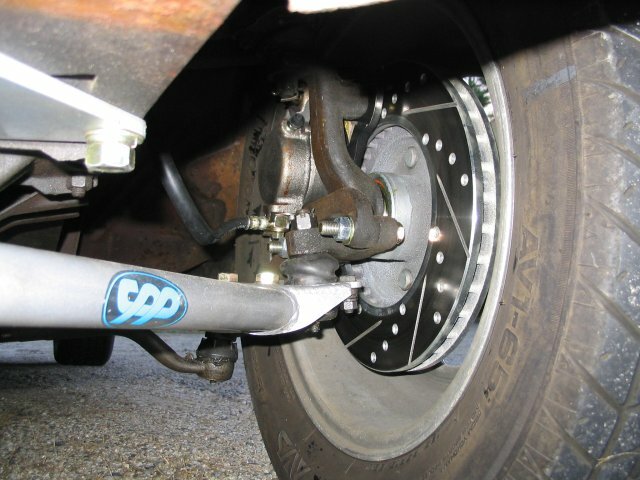 3 Verify that the brakes are engaging by letting the car SLOWLY roll forward, and then pressing on the brakes. Use the emergency brake if the car does not stop. If you can't get past this test, DO NOT CONTINUE until you have corrected the problem. Usually the problem is that there is still air in the brake lines that needs to be bled off, or there is a leak somewhere in the system. 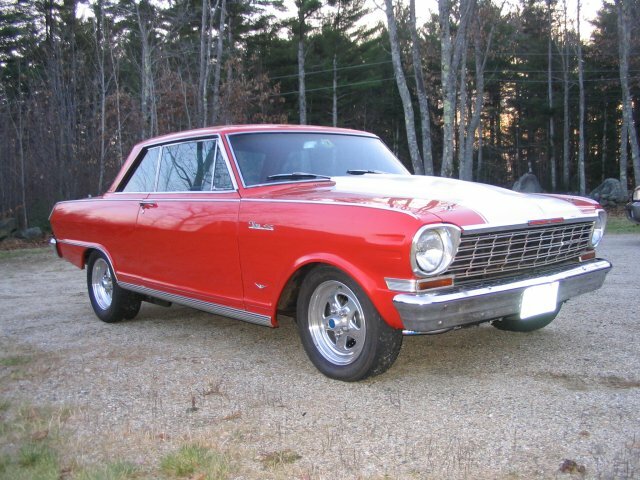 4 Once you have verified that the brakes are working, do several more test brakings, increasing the speed each time if the brakes are operating as expected. 5 Brake hard enough for the tires to skid. Make sure that both the front and rear brakes are locking at the same time. If the fronts are grabbing before the rear, move the 1/4" screw CW to shift the balance more towards the rear. If the rears are locking up first, turn the screw CCW instead. It's best to make SMALL adjustments, 1/8 to 1/4 turn per test. 6 Adjust the rear braking pressure using the 1/8" screw 1/8 turn at a time until the rear brakes are just barely not locking up on a hard stop. It's done...and it's fantastic! I took it for a couple of turns around the block, and I'm very impressed. I want to do some more experimenting with the proportioning valve settings, but I am pleased with it even with the minimal tweaking I did so far. I have a new problem now...it stops **so well** that the passenger bucket seat flops forward. Anyone know how I can retrofit a seat latch? I did some before and after testing of the brakes using a G-Tech meter. 5 tests each. 60-0 stop distances in feet. Stock rear drum brakes in both tests. Same road, same driver, same temps (about 55*) Huge improvement, over 100' shorter on average. I was expecting much more of an increase (like 10-15 lb/side) so I was pleasantly suprised to see it was only 4 lbs/side.